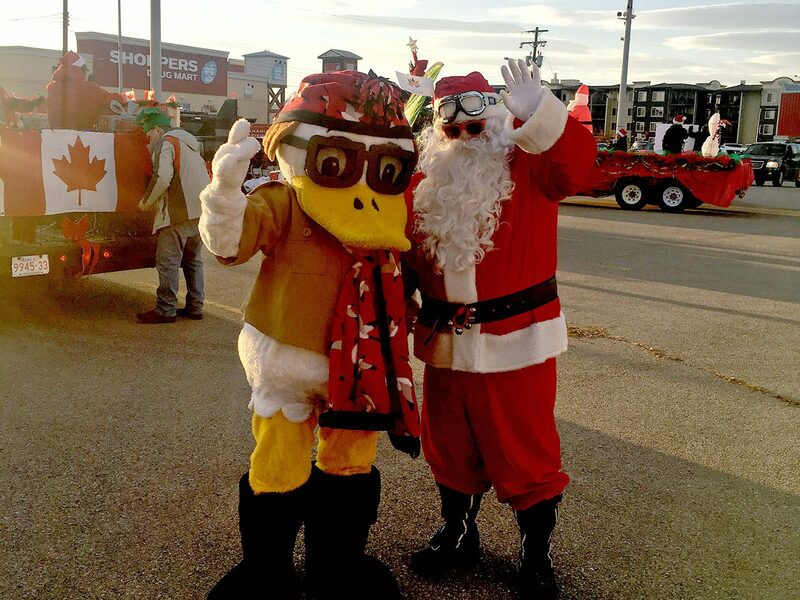 DU Duck poses with Santa Claus for a quick picture, before Cochrane's annual Santa Claus Parade. That’s all that stood between the Cochrane DUC chapter and the best float banner, awarded at the town’s annual Santa Claus Parade on Dec. 8. “To be honest, I don’t know if that means that we were close to winning or not,” laughs chapter volunteer, Rick Murray. Murray and other volunteers aren’t lamenting the loss. 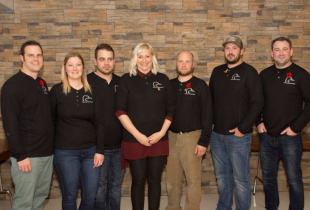 Because at the end of the day, what mattered most to members of this Alberta chapter was spreading holiday cheer and raising awareness of DUC’s conservation work. 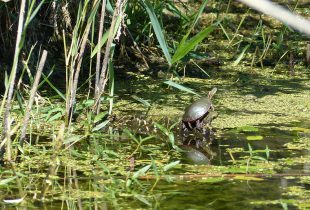 “Our goal was to share the DUC message and spark some interest among people who might be interested in volunteering,” says Murray. “It’s important to us that the community know we’re more than just an annual banquet,” he adds. The DUC float was a close runner-up at the Cochrane Santa Claus parade. 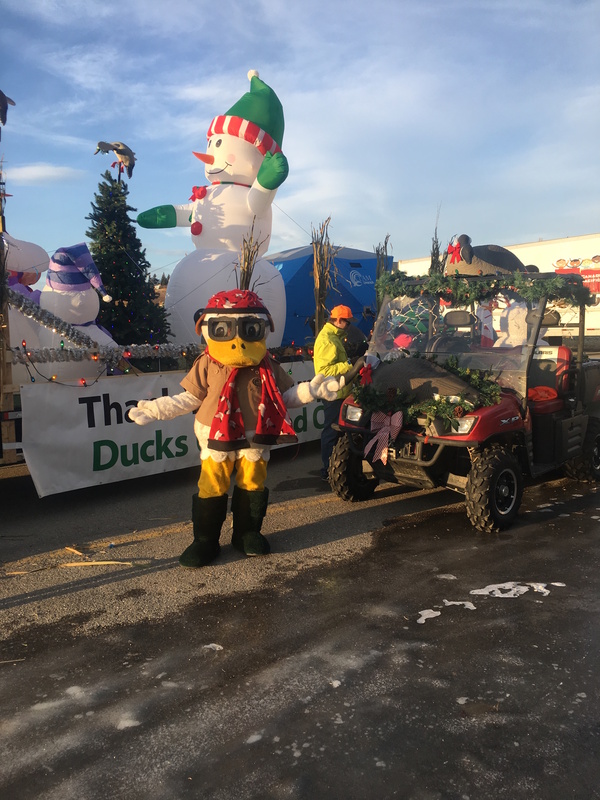 As chapter members and DU Duck walked along the parade route (trailing their well-lit float that included spinning decoys, a Christmas tree, fishing hut, inflatable snowmen and a snowmobile) they handed out candy canes and cards that highlighted DUC’s conservation work. “Seeing the excitement on the kids’ faces…that was special,” says Murray. Helping inspire those gleeful looks was Minnie, the Labrador retriever. “She was a big hit,” says Murray, noting her owner is a member of the Cochrane DUC chapter. Holly, jolly conservationists on the DUC float. Bill Dougan attended the parade with his wife, children, and grandchildren. 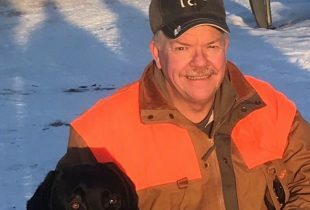 Dougan is a Cochrane resident and DUC’s local manager of events and volunteer relations. “The atmosphere was just phenomenal,” he says. Earlier this year, the chapter also entered a float in Cochrane’s Annual Labour Day Parade. “We were able to bring awareness of DUC to a large number of people at both parades,” says Dougan. Combined, the parades attracted approximately 32,000 people. 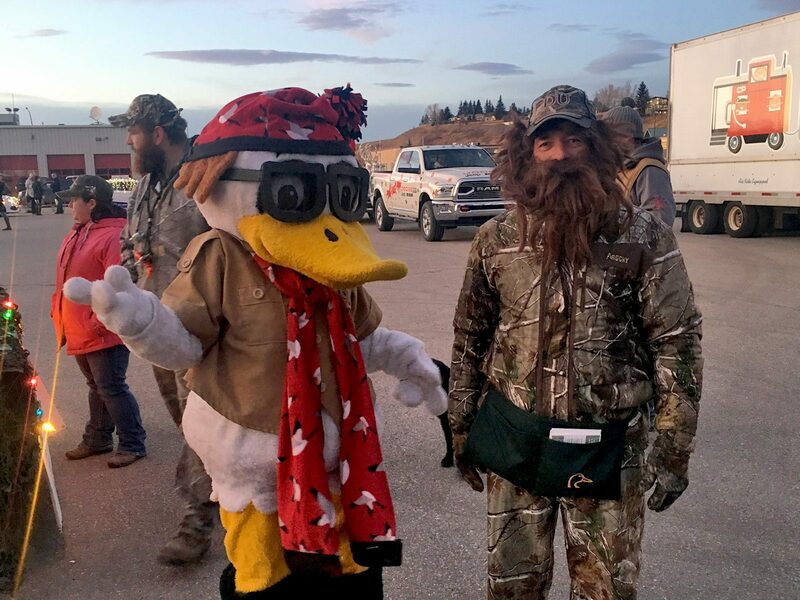 DU Duck and volunteer Rick Murray, dressed as Willie Robertson from Duck Dynasty. This pair handed out candy canes and information about DUC’s conservation work to parade-goers. But numbers don’t tell the whole story, says Murray. “It’s events like [these] that really make the town a community…and [our chapter] wants to be involved with what happens in this community,” he says. 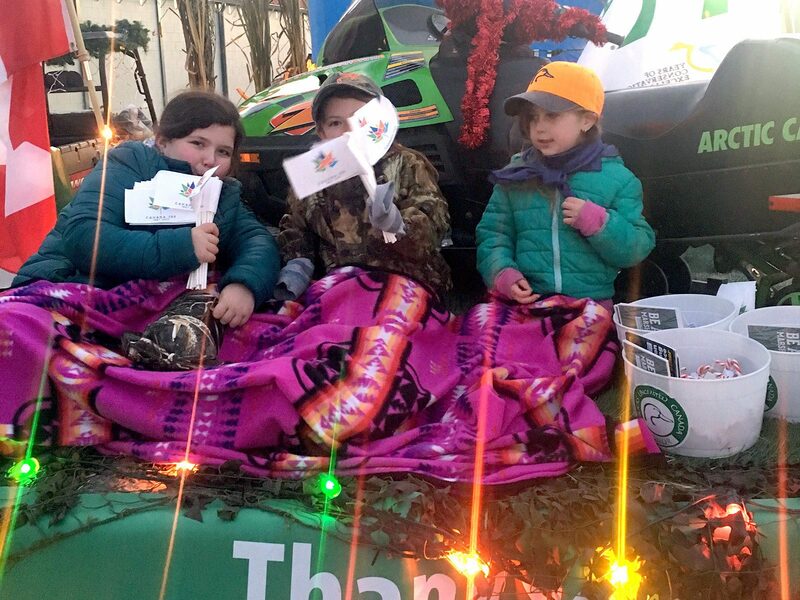 With two parades behind them, winning the best float banner at the 2018 Cochrane Santa Claus Parade may not be out of reach for this dedicated group. “Our floats are right there with the best of them,” says Dougan. In 2018, we’re highlighting DUC chapters and volunteers as part of our 80th-anniversary celebrations. Share your stories with us. Email: communications@ducks.ca.